There are many technical aspects to affiliate marketing that may be addressed better by using affiliate tools. I myself think that affiliate marketers should be tech savvy to some extent, you don’t have to build tools yourself but being comfortable with using one can give you an advantage. The best thing is that there are many tools already exist that cover pretty much every area of affiliate marketing. Some of those tools are legit and safe to use, while others are more on the dark side like content spinning and the kind of automation that gets you banned. 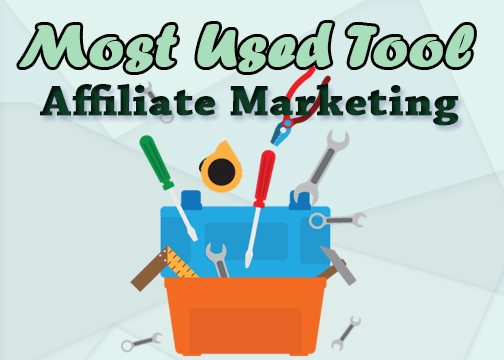 As an affiliate marketer you need to identify the areas which you need the help of tools the most. For example, one affiliate could find that his website design is a job for a tool while another affiliate will just hire a professional web design to do this for him. Your budget, your skills and the amount of time you are willing to invest in your affiliate marketing business will decide if it is better to use an affiliate tool or just do it yourself. One tool that struck me as the most used one by affiliate marketers, especially those who own a blog is Microsoft Office set. Most affiliate marketers use product reviews to sell their affiliate offers and Microsoft offers 2 great tools to help you write the most converting review copy. Affiliates who are not from English speaking countries face problems with spelling and grammar because English is not their first language. And since most affiliate products are in fact developed and writing in English, the customers of these products are most likely to be from countries that natively speak English. You need to demonstrate in your product reviews that you are a professional writer and Microsoft Word can help you write linguistically correct reviews. 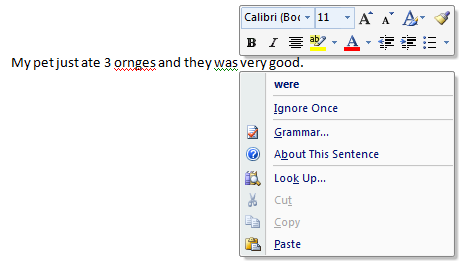 Right clicking on your misspelled word will offer you the correct suggestions. After you write your product review, it is time to design it so it can attract the attention of your readers. Microsoft Excel is another tool that helps you design your headlines and sub titles in a professional and eye catching manner. I am sure you have stumbled upon review pages that have glaring text design that looks like they were developed by professional web designers. But with Excel you will be able to do just that without any technical skills. You can then add your headline and change the font type and size to fit your overall product review design. You can then take a screenshot and add your designed text as an image on your review page. Savvy and smart affiliate marketers know the value of cultivating relationships with product owners and other affiliate marketers alike. Simply put, if you have contact with the product owner who you are promoting his product, you can ask him for special treatment. The kind of special treatment I am talking about is having exclusive discount coupon given to you, which is not available to your competing affiliates for the product. Also having the product owner to give you free PDF content to put on your affiliate website can benefit you and your readers. And in many cases you can ask the product owner for advices on the best way to market his product, since he knows the market very well and can give you further insights in any area you need. Skype has been bought by Microsoft in 2011 and since then Microsoft has successfully integrated it with their other services. With Skype you can chat with various product owners and strike deals with them, you first contact them using their contact form on their website. Introduce yourself as an affiliate and explain your plan to promote their product, and at the end of your message leave your Skype id and ask him to add you for further brainstorming. There are other tools that can improve your affiliate marketing website from tracking your visitors to improving your SEO. Google analytics is a free must have tool/service and without it, don’t expect your affiliate website to grow and even expand. By inserting a simple code on your affiliate website or blog, you will be able to know who visited your website and which websites they came from. Along with other massive data that even go to the extent of telling you which part of your pages your visitors stopped scrolling and started to read what you wrote. Such data are imperative if you plan to improve on your current traffic and content strategies. Webmaster tools offered by Google for free are very important for any affiliate marketer who value SEO and use it to bring traffic to their affiliate website. You will be able to know which keywords you rank for, even long tails ones that could be decisive in deciding which content to write about. All this is very important when it comes to SEO, and making sure that your site is within the safe side of Google can be very comforting and helpful. Basically you should explore as much affiliate marketing tools as possible and try to stay up to date with the trends. Affiliate marketing courses (like Affset) are known to be a good source of affiliate tools; they offer tools in the context of the course. So joining those courses can train you on using the tools as well.